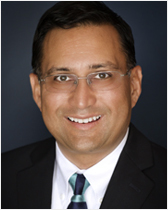 Steve Mehta is a professional full-time mediator who specializes in mediating complex and emotional cases. A leading Los Angeles mediator, Mr. Mehta has been repeatedly selected as a Super Lawyer in mediation and is highly regarded by both sides to mediation. He has mediated thousands of cases successfully and mediates nationally. He currently has two locations where he hosts mediations – Valencia, CA and Downtown Los Angeles. He has particular experience in fields such as elder abuse litigation, employment litigation, personal injury and medical malpractice, real estate litigation, and business disputes. He has spoken and written extensively and is well respected for his skill as an astute and insightful mediator. He has substantial trial experience and has experience in representing both sides of the dispute. As such, he is uniquely situated to understand the problems of both sides and help them to achieve resolution of their disputes. For more information on Steve, please refer to his C.V.
Steve was recruited out of law school by a Blue Chip, L.A. firm. He will tell you that after learning much in the large firm environment he was lucky to work with “some amazing attorneys” in boutique firms on both plaintiff and defense sides of the Bar before opening his own practice. His early trial work focused on emotionally complex litigation such as Elder Abuse, Medical Malpractice, Employment, and Bad Faith Insurance, and Personal Injury. As a successful trial attorney, Steve was often asked to act as Mediation Counsel or associate into cases to handle Mediation and Trial. “I loved being able to focus on solutions to litigation.” Fifteen years ago, Steve followed his passion and opened his Mediation practice. Today, Steve travels throughout California and the U.S. to help parties craft custom resolutions to their disputes. Our Office is much more than a collection of successful mediations. Each mediation is an opportunity to make a difference in litigation and pre-litigation disputes and we understand the trust placed in us by each party, in each case. From the detail and attention focused on booking a mediation to the day of mediation, our Office takes each case personally. Steve is proud of his team and their determination to reduce as much stress as possible in mediation: “Mediation is stressful on its own, if we can reduce that stress even a little – from learning your dietary preferences to helping with travel accommodations – then we have made your experience better.” We know how physically and emotionally challenging mediations can be and it’s our mission to create an experience conducive to reaching a mutually beneficial result. Steve is proud to be consistently recognized as one of the best mediators in California by his peers. However, he reminds his staff often (daily if you ask them) that although every attorney loves a good war story, you are only as good as your next opportunity to make a difference. We genuinely love what we do and we look forward to helping you create a custom resolution to your dispute.